When an air conditioner is not working properly, or not cooling down the room as much as you’d like, you assume the issue exists within the system. A broken fan motor, low refrigerant levels, or failing electrical components are likely responsible, but these also may not be the only contributors to your discomfort. When you notice that your air conditioner just does not seem to live up to its potential, you shouldn’t pass it off as just being a quirk of your older system or perhaps a problem with the thermostat. 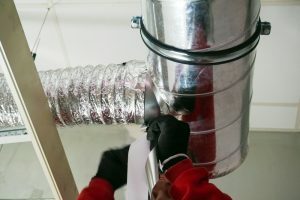 Most likely, there is a problem within the air ducts, and this is something you should address (with the help of qualified technicians).